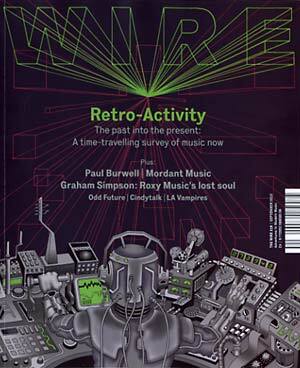 "On the cover of this month's magazine: Retro-Activity (The past into the present: A time-travelling survey of music now.) 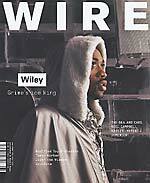 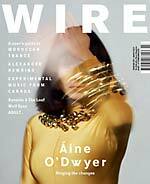 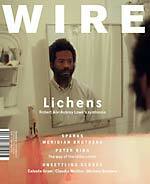 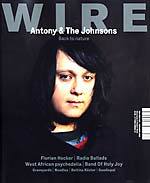 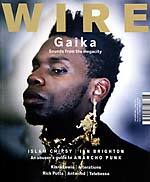 In a series of themed essays, Wire writers examine the various ways that the music of the past resonates through the music of the here and now, from analogue gear fetishism to curator-and DJ-led revisions of world-historical musical scenes and movements. 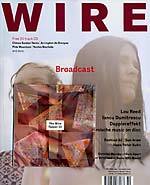 Features: LA Vampires (Amanda Brown's post-Pocahaunted project comes slathered in sleazy dub); Odd Future (The cantankerous teens are grafting a mutant third limb on LA's hiphop scene); Cindytalk (Lisa Blanning listens to the crackling of the former 4AD singer and transgender warrior's soul); Global Ear: Boise (Dustin Verburg unveils a testy experimental music festival blazing through Idaho's City of Trees); Cross Platform: Aura Satz (The London based sound artist sculpts a macabre, mechanical art of memory from phonographic objects); Invisible Jukebox: Mordant Music; Graham Simpson (Exclusive interview with the original Roxy Music bassist, who fell out of history after discovering Sufism and psychedelics); Paul Burwell (Three years after his death, Julian Cowley pays tribute to the British percussionist, inventor and Bow Gamelan Ensemble founder's liberating spirit); Epiphanies: (Tim Lawrence on Arthur Russell's avant disco)."